The first ever global event honouring organ donors took place in cities across the world on 30th November, 2017. 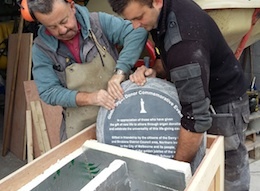 This Irish-led commemorative initiative involved stone sculpted candles, gifted by Irish cities, Galway, Derry, and Belfast being unveiled in Cape Town, Melbourne and Boston, and a similar event was held on the 16th November in Spain when a Dublin-gifted commemorative plaque was unveiled in Barcelona. 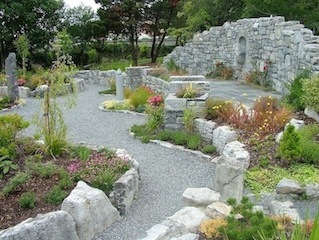 Three simultaneously scheduled events took place on the same day, 30th November, in Belfast, Derry and at the Circle of Life Commemorative Garden in Galway as part of this Irish-led global initiative. The project was initiated by Strange Boat Donor Foundation in association with Organ Donation and Transplant Ireland (ODTI). This all-Ireland project, reflecting international outreach, cooperation and friendship, involved some of its principal cities, Dublin, Galway, Belfast and Derry gifting the commemorative sculpture to Barcelona, Cape Town, Boston and Melbourne, respectively. 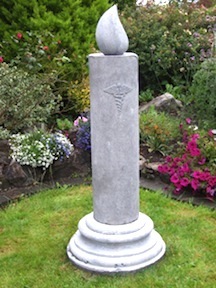 The commemorative sculptures are each a 5.5" tall (1,650mm) carved replica of the stone sculpted candle in the Circle of Life Irish National Organ Donor Commemorative Garden in Galway. 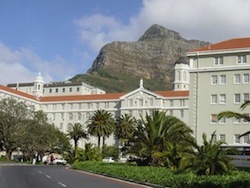 The date chosen for the global event was designed to avail of the historic opportunity of marking one of the milestones in organ donation transplantation; the world's first heart transplant by Dr. Christiaan Barnard at the Groote Schuur Hospital in Cape Town in 1967. The sculpted candles and narrative plaques were created at the Galway Salvage Gallery.